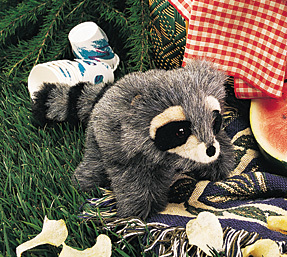 This little masked critter would rather snuggle in your arms than steal food! With a bit of encouragement, you'll have it acting as curious as only a raccoon can be. Measures 10" long x 5" wide x 4" tall.